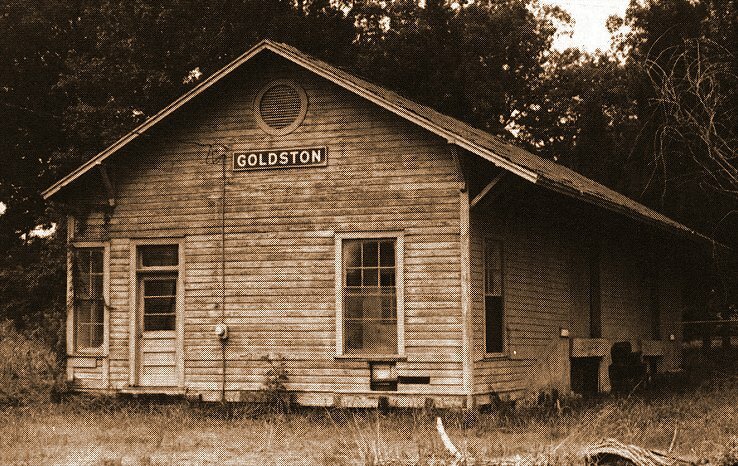 The Goldston Depot was constructed for the Cape Fear and Yadkin Valley Railway around 1884. It is located in Goldston, Chatham County, North Carolina. The town was originally called Corinth, but was renamed after the first town mayor and land donor for the depot. The town received a post office in 1889 and in 1896 had a population of 150 people. Originally constructed as a freight only depot, the depot was enlarged in the early 1900’s to add a freight office. Southern Railway took over operation of the line in 1909. The size with the addition was 23’ x 58’. In the mid 1920’s, as passenger service was added to the line, a passenger section was added increasing the overall size to 23’ x 72’. Passenger service was ended in the late 1930’s. 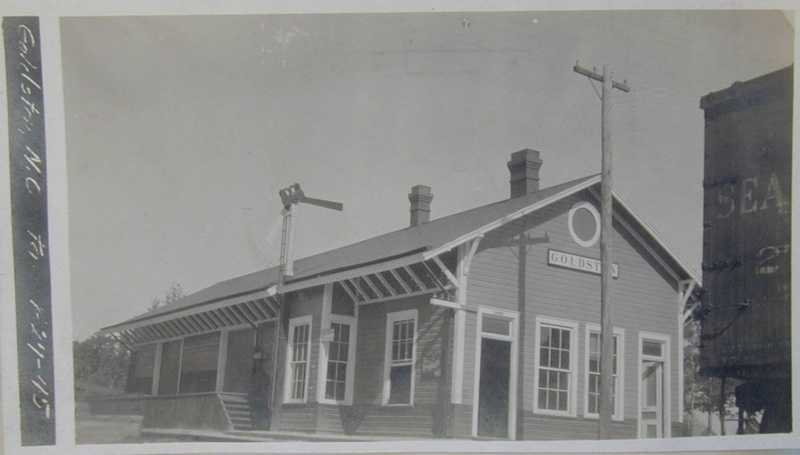 The depot was converted back to being a freight depot with an office and that is how it’s found today. 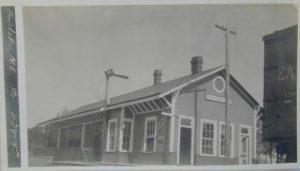 Rail service was discontinued at the depot in the mid 1950’s. It was moved offsite in the early 1960’s by a local businessman who owned property about a block away to preserve it from being destroyed. Goldston Depot 2007 after new roof. The depot is intact and complete with a new steel roof put on in 2007 to protect it from the weather. All the original wood remains as well as the original semaphore. 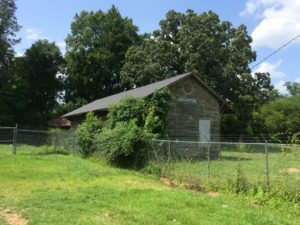 It has been donated to the North Carolina Railroad Museum, who will move it to their Bonsal yard, restore it and preserve it as a freight depot with office. The depot will retain the Goldston name and help preserve a bygone time in North Carolina railroad history. Along with the Cliffside #110 steam engine currently being restored, this will help recreate a piece of North Carolina history. NHVR distributed a news release in October 2015 about a ride day raising funds for the depot’s move. The release has some additional information on the building. 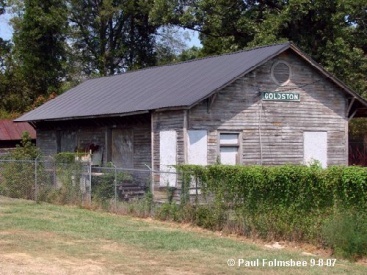 The Goldston Depot is one of our restoration projects with the greatest priority. 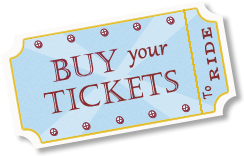 Please consider making a contribution to the North Carolina Railway Museum, home to the New Hope Valley Railway.